I live in the Outaouais region. It is a beautiful area to live in if you love nature and the outdoors! Gatineau Park is basically my backyard. For those of you not familiar with Gatineau Park, it is 361 square kilometres (139 square miles) of wooded area that was created in 1938. Part of my goals for 2017 included spending more quality time with my family, living more intentionally, focusing on my well being, living more in the present, and like the majority of people finally getting into shape. It’s September and I am happy to report that I have made significant progress with all the above. One change that I have made that has had one of the most significant impacts on me this year was getting out and hiking. My husband and I go hiking almost every weekend now in Gatineau Park! Reconnecting with nature and being in the woods creates such a sense of peace, serenity and happiness inside me. 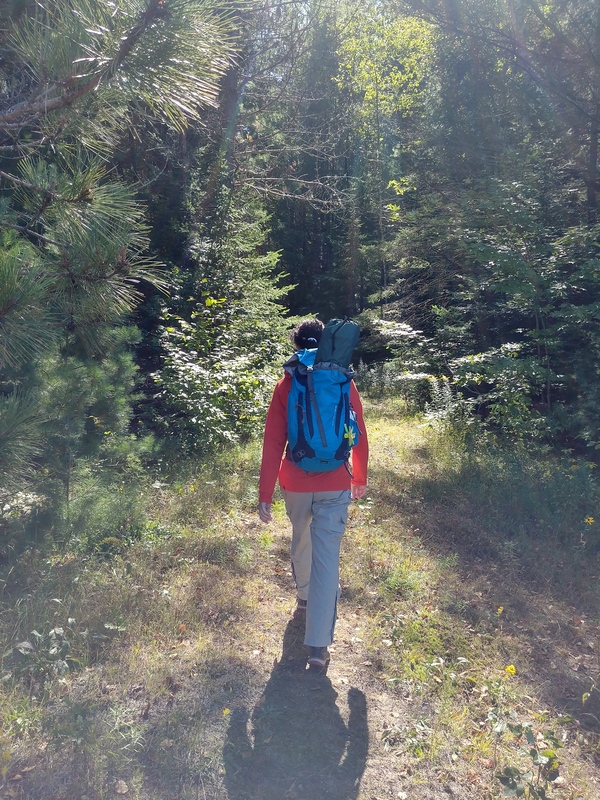 When I am hiking in the woods, not only am I spending quality time with my family, and getting exercise (sometimes we are gone on 4-5 hour hikes covering 400 meters in elevation changes), but I am also living more in the present. I spend time observing, enjoying and living in the now. This has also led us down the path of being new/ amateur mycologists since we are spending so much time off trail and enjoying the beauty of the woods all around us. It is truly amazing what you see when you observe what is right in front of you. Reconnecting with nature is a way to create a true sense of happiness. It also helps to alleviate stress and helps us to remember more. 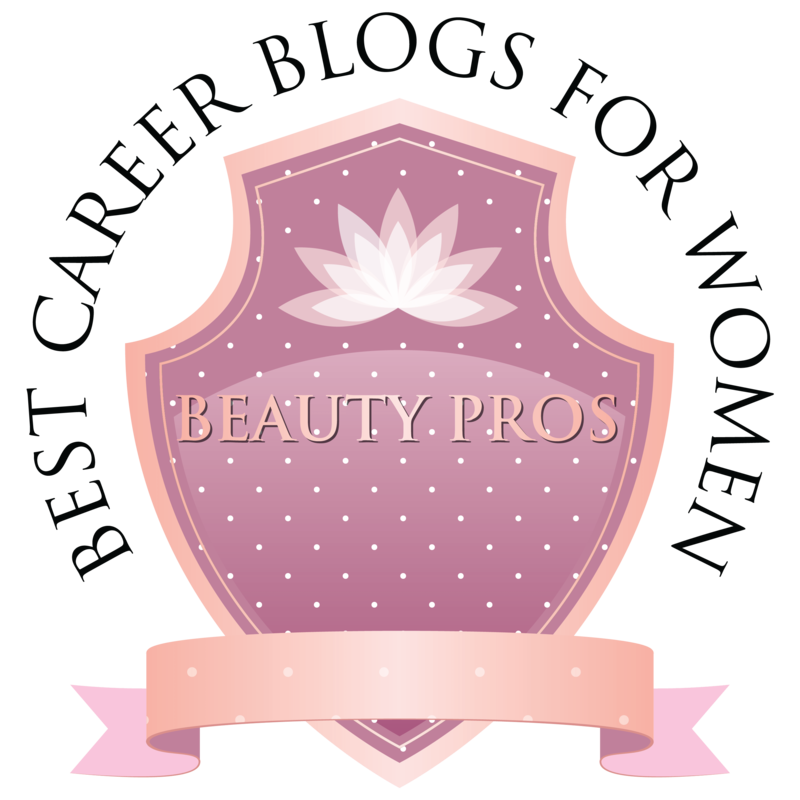 Our brains need down time to process what we learn and do on a daily basis. And with the hectic work weeks that I have, often working overtime, hiking and being in nature contributes to my well-being and sense of balance if you are looking at it in a work-life balance way. So what does all of this have to do with Lawson Hammocks? Well as part of my goal is to live intentionally this year, and getting out and exploring like we are in the woods, I need the right equipment with me. 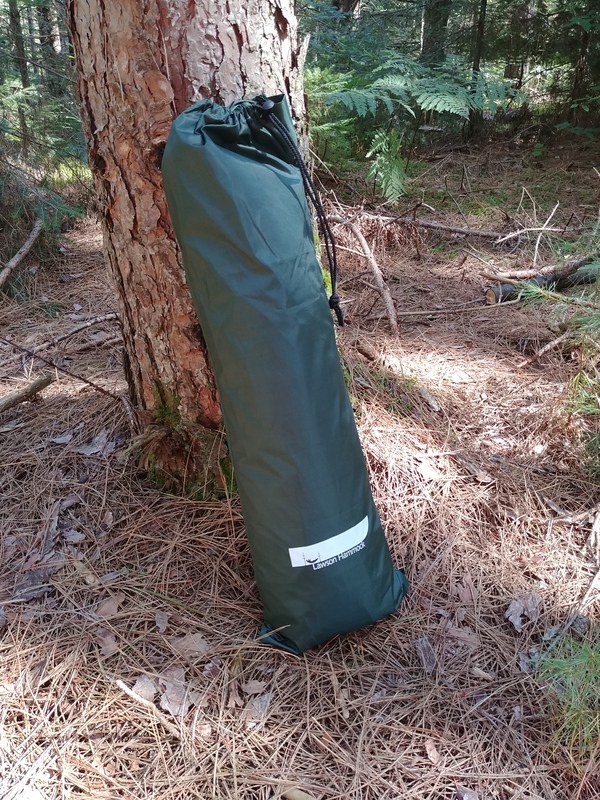 I want equipment that creates a small footprint when I am in the woods, is lightweight, durable and I want to help support companies that have similar values as my own. I love innovative and useful designs. 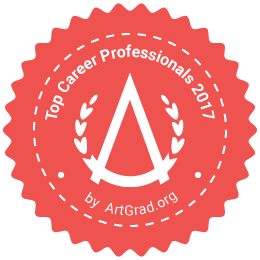 But more often it is the people behind the companies that inspire me as I am all about the culture, vision and beliefs that they share. Lawson Hammock meets all of this. The founder, Wes Johnson, is a great guy! 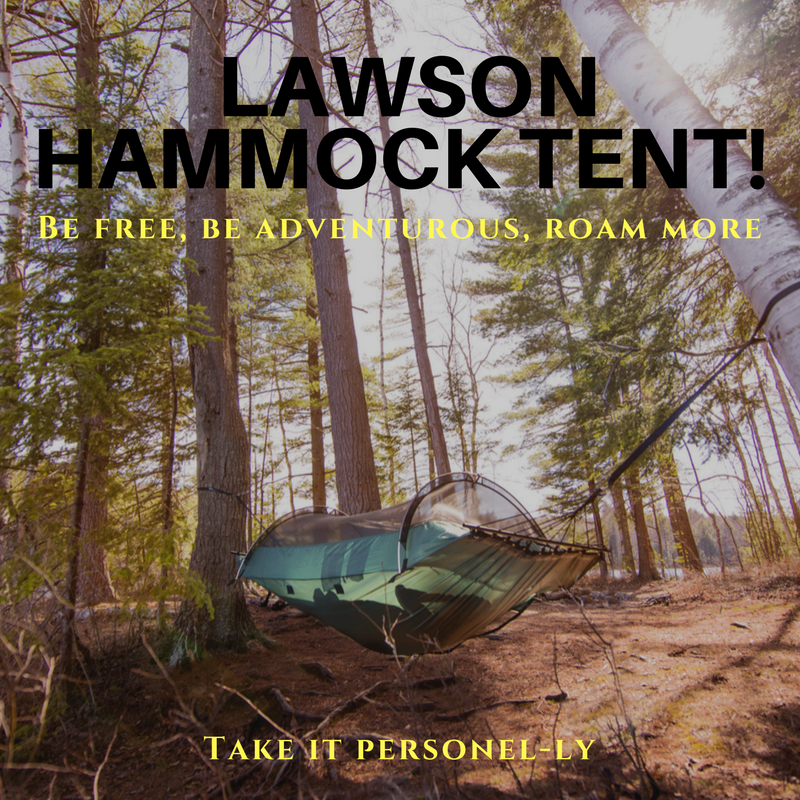 He is extremely passionate about the Lawson Blue Ridge Camping Hammock, and he works hard to make sure that he has a great, quality product. You can tell that it is a labor of love. He is working hard to create a positive brand experience. The Lawson Blue Ridge Camping Hammock is perfect to take along on hikes and on weekend camping trips. It lets you camp out anywhere! 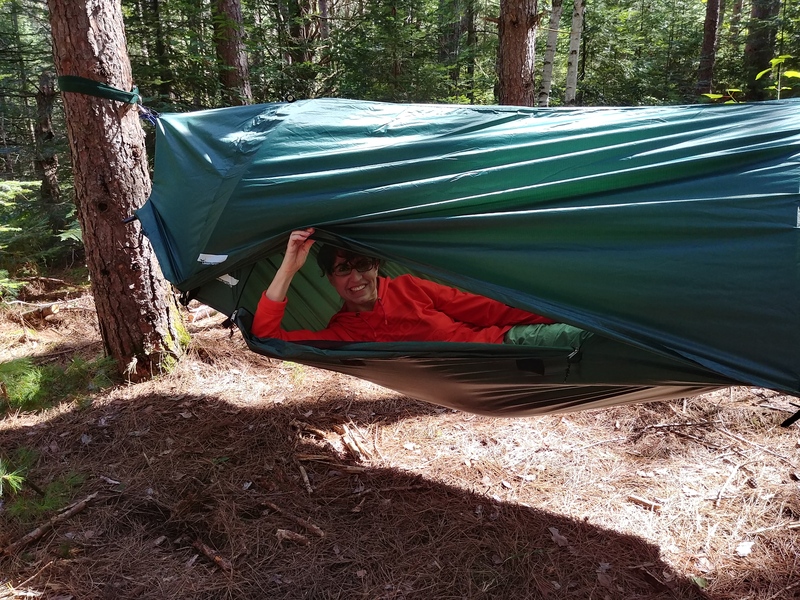 It is a unique hybrid tent-hammock. All you need is 2 trees and you are all set! 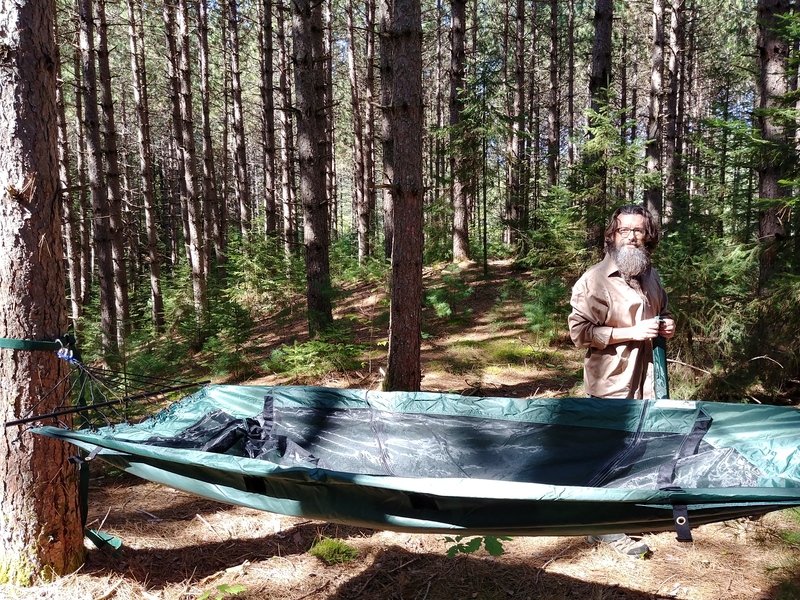 The Lawson Blue Ridge Camping Hammock can also be set up and pegged to the ground as well if you prefer. It is versatile and when hung properly from trees leaves no trace on the ecosystem around you. To me that is very important, as I don’t want to damage the woods around me and I strive to leave minimal trace of having been there. As a budding amateur mycologist I also don’t want to damage fungi and prevent new fruiting bodies from forming, by stepping on them and squishing them. Or by having a tent lying on top of them. 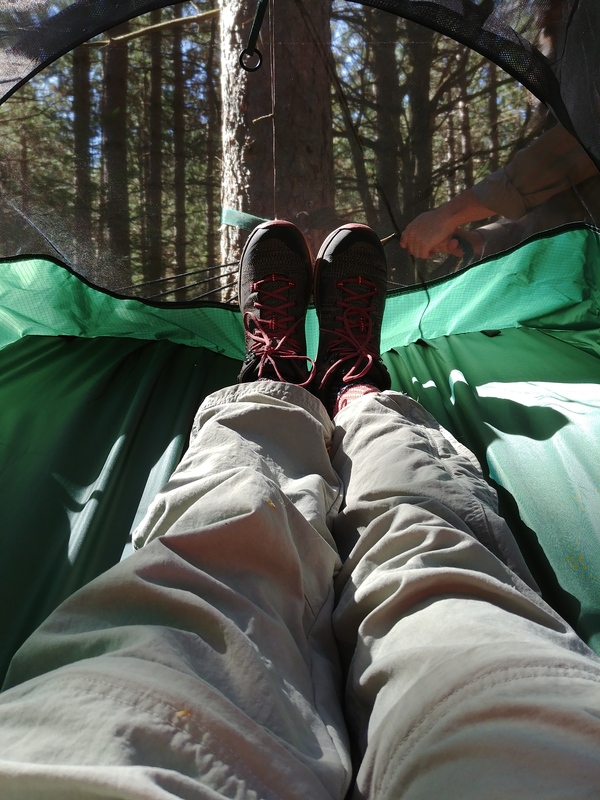 The Lawson Blue Ridge Camping Hammock weighs only 4.25 lbs. (including poles, rain fly and stuff sack). It can easily be carried or stuffed into my backpack. 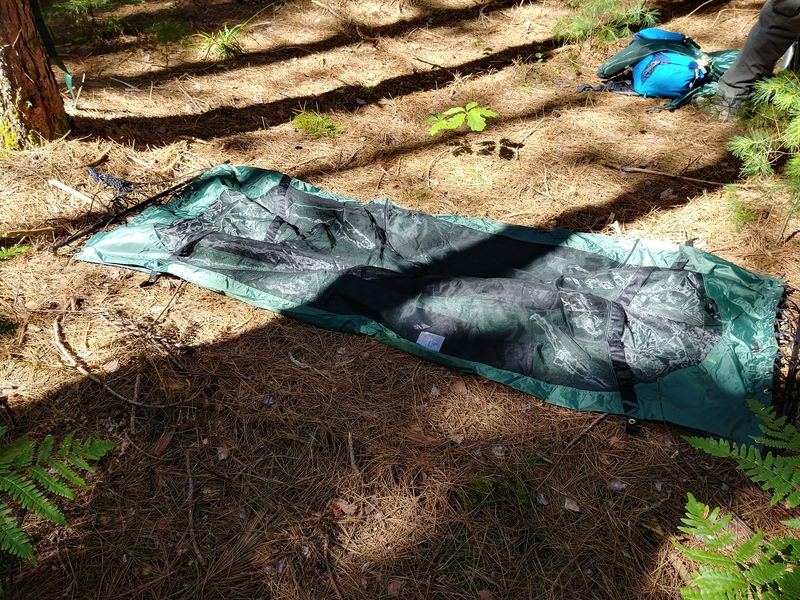 Even if I am not using it to sleep overnight somewhere it is great to have with me in case I want to stop and rest for a bit or to simply enjoy that ‘perfect spot’ that I have discovered. 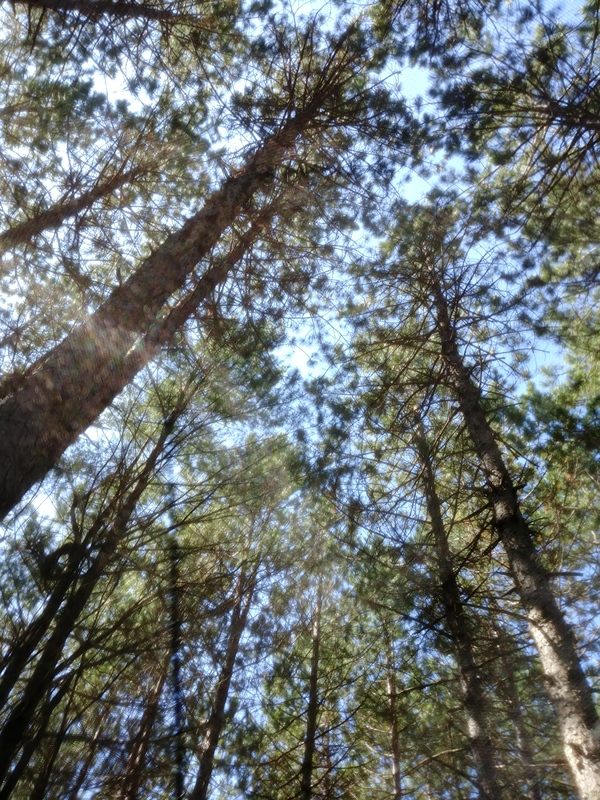 Nothing like relaxing in a hammock, in a secluded wooded area, with only the sounds of nature around you. That to me is true peace. 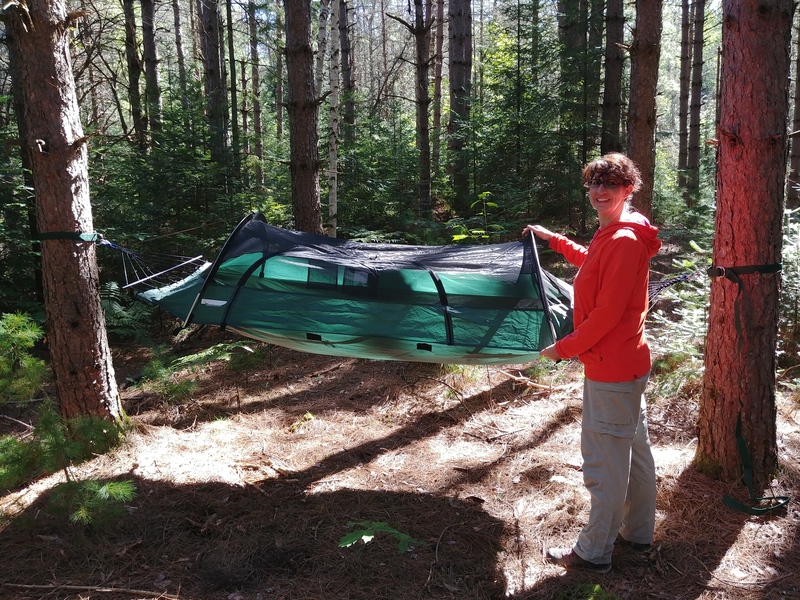 The Lawson Blue Ridge Camping Hammock is so easy to set up. I admit to being one of those people that really doesn’t like to read instructions before trying something (or building something). But the Lawson Blue Ridge Camping Hammock is very self-intuitive. 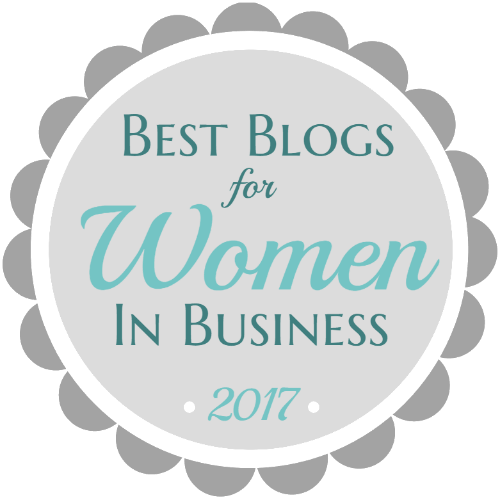 I had it set-up within 5 minutes with no issues and my husband did the same. I know that there are various systems out there to hang hammocks from trees but I am using the Tree Huggers (Hammock Straps) that Lawson has on their site as well. 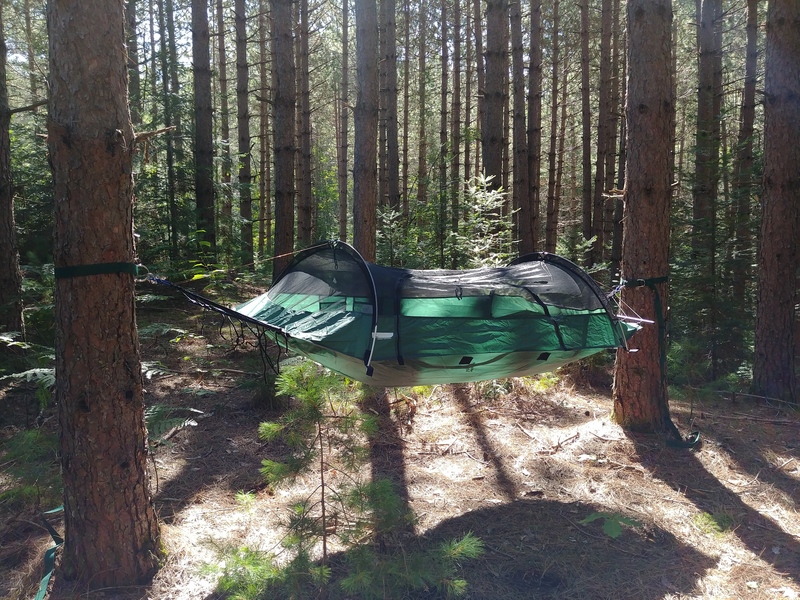 Just wrap the straps around any tree or post, connect the hammock to the S Hooks and you’re in business! 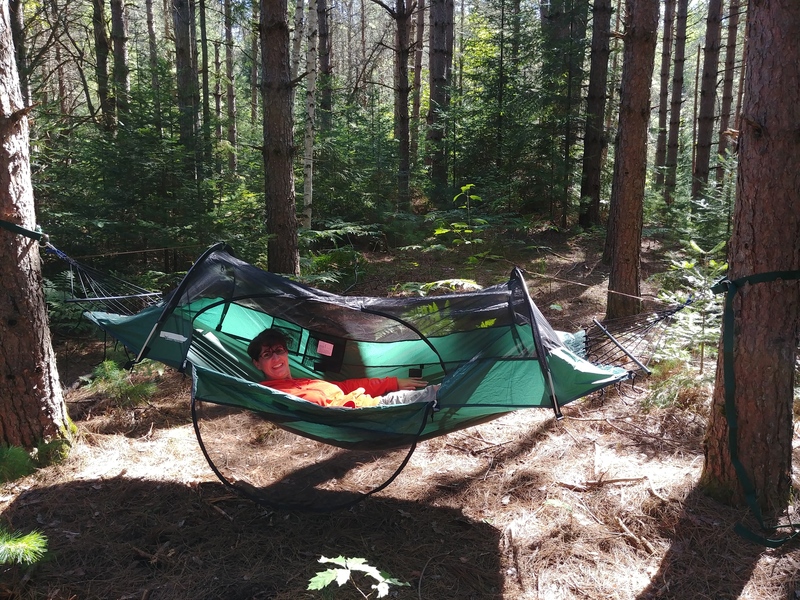 This hammock has spreader bars that open up the hammock so it doesn’t fold in on you and confine you to a cocoon. This design allows you to stretch out and even roll over. 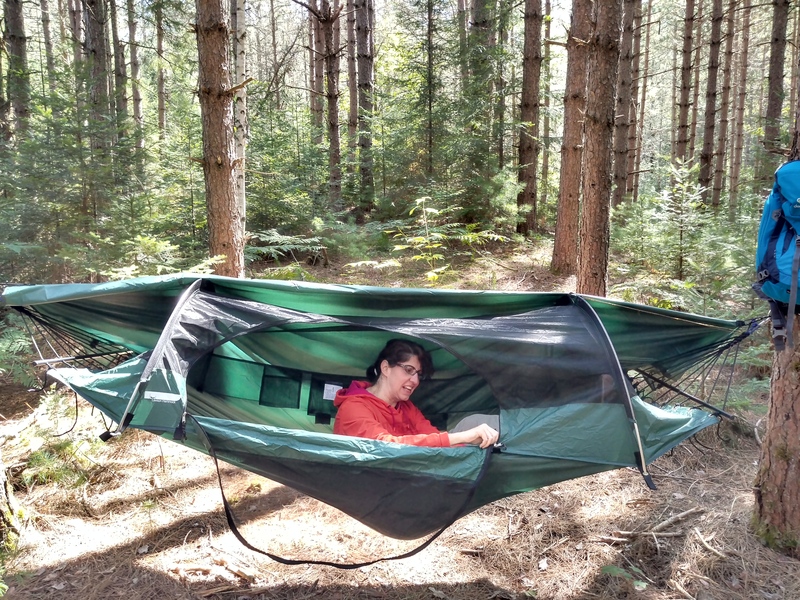 It comes with lightweight arch poles that keep the no-see-um net canopy off your face and give it more of a tent feel. The arch poles go into designated sleeves that give a small gap about an inch above the net. The gap is prevent the included tarp from touching the netting and creating condensation. The included rain / weather tarp is an amazing bonus to have! 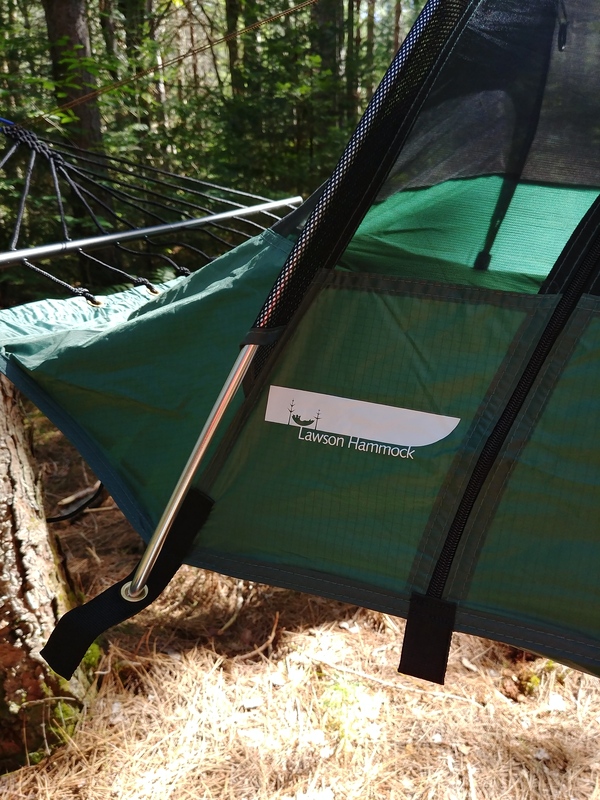 It protects you from the elements and wraps around the Lawson Blue Ridge Camping Hammock very snugly! 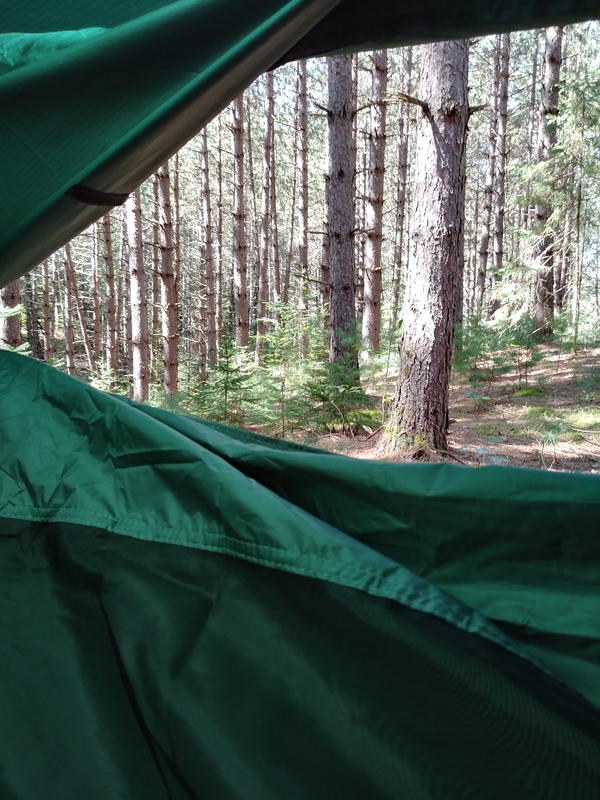 The corners of the tarp clip to the hammock body where the tent poles attach, by means of small shock cord loops. 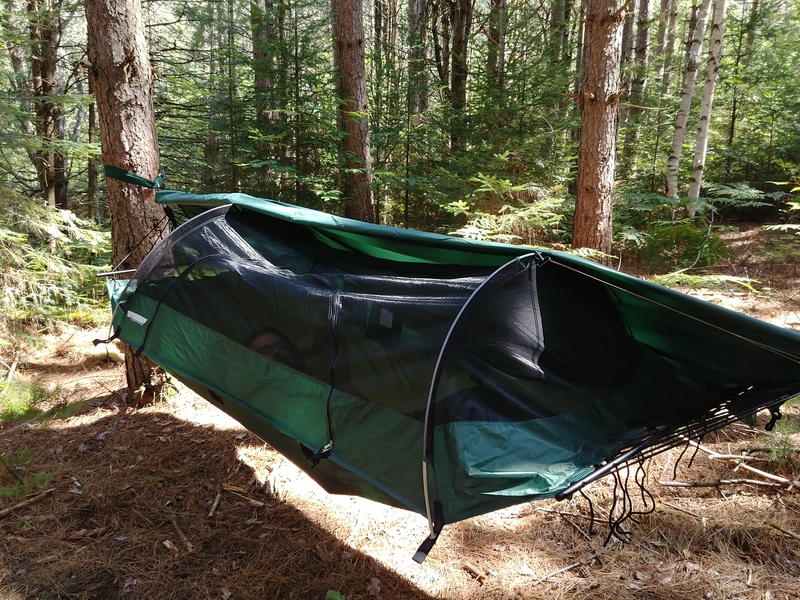 There are also hook-and-loop patches that allow the tarp to grab onto the hammock. And more importantly it does the job of keeping the rain out. I had no issue or concern of flipping. I have used hammocks previously and if you know how to get in and out of one and are careful, then this should not be an issue. I find it to be extremely comfortable to lie in and can spend hours just hanging out. (Literally). Be Free, Be Adventurous and Roam More! Waterproof ripstop-nylon rain fly included. Strong spreader bars and shock-corded aluminum archpoles for the net canopy. O-ring in ceiling for hanging light.